In a world of damaged ecological and social systems, advice buy with a fragile global economy and a rapidly changing climate, business as we know it must evolve or perish. It is no longer acceptable to create financial profits by extracting the foundational living wealth of our lands and waters. Enterprises need a new model with which to interpret the world, and a new process for whole-systems design and decision-making. The 8 Forms of Capital is that model. By articulating the multiple forms of capital with which we transact every day, it opens the door for an evolutionary approach to economics and profits. 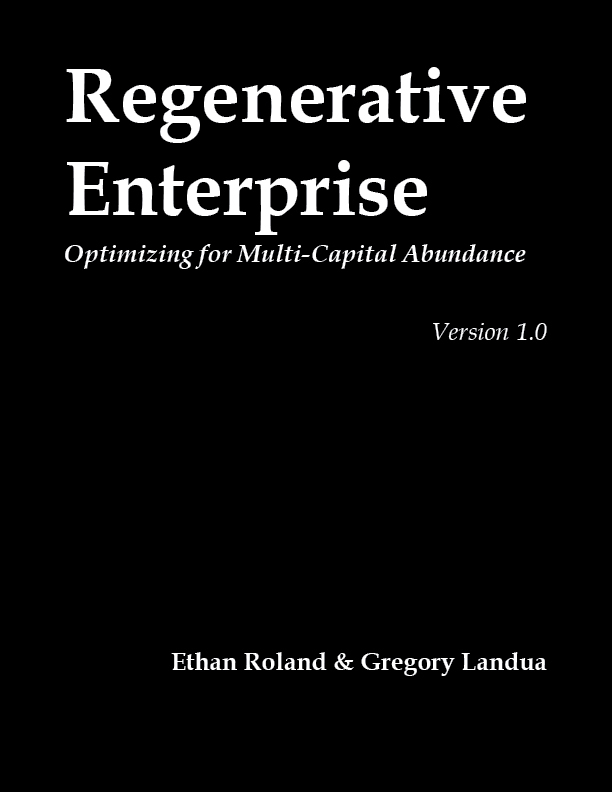 Our new book Regenerative Enterprise defines the difference between degenerative, sustainable, and regenerative systems. 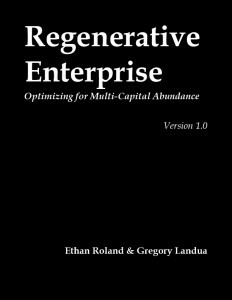 It articulates the four factors of a regenerative enterprise, and the principles for designing regenerative enterprise ecologies. The Regenerative Enterprise Institute also offers coaching and consulting services to enterprises and corporations that want to take the leap to regeneration.